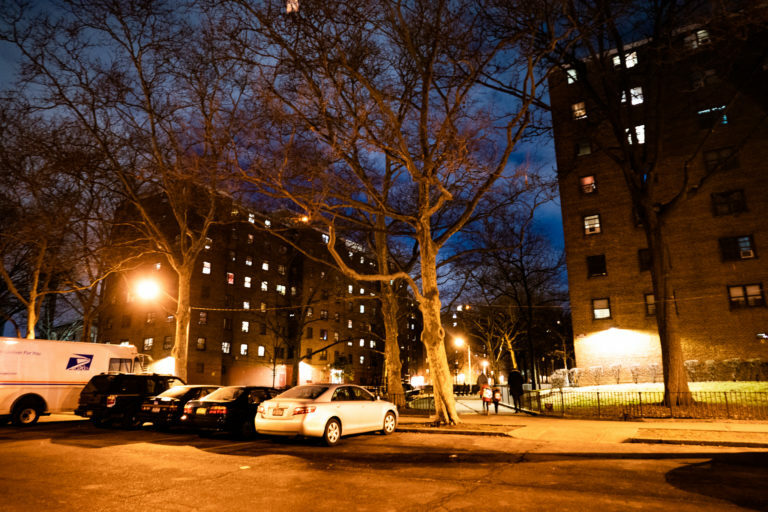 Decades of disinvestment have devastated NYC’s public housing. And now the private sector is ready to cash in. As temperatures plummeted into the single digits on Martin Luther King Day weekend, there was no heat in Karen Leader’s apartment. 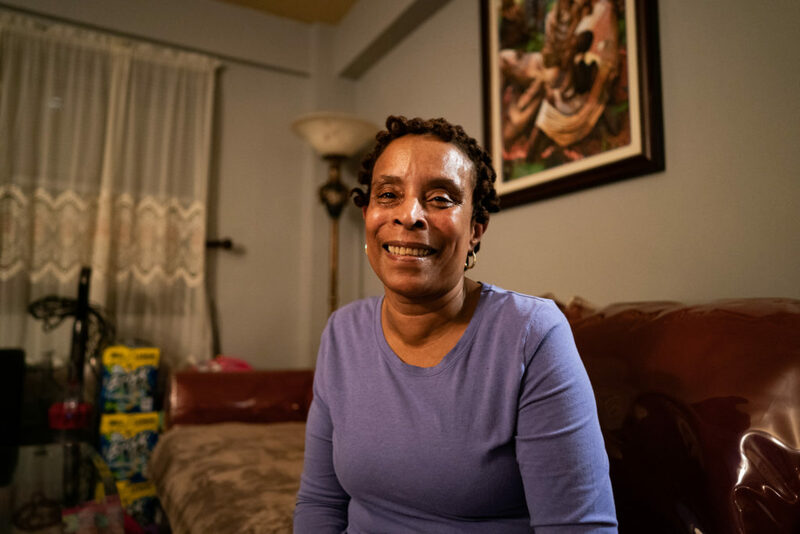 The intense cold is just another indignity she and her fellow residents of the 178,000 New York City Housing Authority (NYCHA) apartments have had to endure. Broken elevators, a lack of basic repairs, toxic lead paint and mold also top the list for many of the estimated half-million NYCHA tenants. Leader and other NYCHA residents are now worried about another, more recent concern — the various privatization efforts the city is pursuing. Last year was a particularly tumultuous one for NYCHA, capped by Mayor Bill de Blasio’s announcement of a 10-year “NYCHA 2.0” plan, ostensibly to turn the authority and its housing stock around. Days after the plan was released, U.S. Housing and Urban Development Secretary Ben Carson issued an ultimatum for NYCHA to demonstrate signs of progress by the end of January or face a federal takeover. In the end, Carson stopped short of taking NYCHA over and instead reached an agreement with Mayor de Blasio whereby NYCHA’s interim chief will be replaced by a federal monitor. No one denies that NYCHA is in dire need of money. Most experts estimate that it would take $32 billion to get all of its facilities in working order. In a December report, the Regional Planning Association put the amount at $45.5 billion. The de Blasio administration hopes to raise part of this money through “infill,” selling air rights and leasing land in public-housing projects to private developers. Most of the NYCHA 2.0 program’s funds will be raised, however, by turning over the administration of 62,000 units to developers, as part of the federal “Rental Assistance Demonstration” (RAD) program. Those developers will be required to make badly needed repairs, while keeping residents in their apartments. The tabloids eagerly seize on NYCHA’s chronic mismanagement and reports of after-work staff parties at its facilities. (“Overtime for Orgies,” shrieked a typical Daily News headline.) The real core of its troubles, however, is chronic disinvestment. A loss of just 10% of NYCHA’s units would force 40,000 New Yorkers to scramble for housing in a city where it’s scarce. NYCHA has served an important function in providing affordable housing since it was founded in 1934. The agency, which has received the bulk of its funding from the federal government since the Carter administration, weathered severe budget cuts in the Reagan years. In the late 1990s, then-governor George Pataki halted operating subsidies from the state, and Mayor Michael Bloomberg later cut off the city’s contribution. Gov. Andrew Cuomo has spoken in favor of funding NYCHA, but he has diverted much of $100 million allocated for it to other state housing authorities. And for decades, until de Blasio ended the practice in 2014, the NYPD charged NYCHA an estimated $100 million per year for police services already paid for by tax dollars. The city has upped its contributions, but it still allocated $143 million to NYCHA in fiscal year 2019, just 0.2 percent of the city budget. In his deal with the feds, de Blasio committed the city to another $2.2 billion in NYCHA spending over the next decade. For its part, authority currently collects about $1.07 billion in rents annually, about 32 percent of its total operating revenue. Under de Blasio’s current NYCHA scheme, tenants in designated units are likely to see significant repairs under RAD, though there is potential for significant risk. It is also unlikely that a private developer would be more responsive to tenants than the government. The amount of money raised through RAD and attendant programs will only offset a fraction of NYCHA’s capital needs. There is also the issue of potential foreclosures stemming from the practice of mortgaging NYCHA properties to raise capital, should the city no longer have the revenue to pay the loans off. A February 2018 Government Accountability Office audit of RAD found the program lacked both necessary controls against building foreclosures and sufficient guarantees to ensure long-term affordability for tenants. The NYCHA press office was unable to say if there were any guarantees in place to prevent mortgage defaults. The city is insisting that residents will have rent protections and a “right of return” in instances where they are forced to move out while repairs are made. Most tenants will be able to remain in their homes during the conversions. Another uncharted aspect of RAD is the fate of NYCHA’s unionized workforce. At least one construction industry group has publicly called for RAD and infill to be done without union labor. “There’s nothing in there [federal or city regulations] that requires any worker who does work at one of the privatized developments to be either civil service or union, which is really kind of scary,” he explained. Barnett said the city has done little to keep the union in the loop, and he is skeptical of de Blasio’s claim that there won’t be any layoffs. In the meantime, he’s working to forge coalitions between NYCHA residents and workers. Affordable housing is now a multibillion-dollar growth industry, replete with publicly traded firms, lobbyists, trade associations, journals and conferences. The potential for profit has led to a dynamic where the same developers that created the conditions of displacement in New York City can be awarded lucrative contracts for public housing. Take the case of Camber Property Group, the firm behind a deeply unpopular rezoning on DeKalb Avenue in Bushwick. It’s one of the partners in a deal to purchase a 50 percent stake in the Murphy and Baychester Houses, two separate developments in the Bronx which contain a total of 722 units. Developers benefit from the management of public housing through the collection of various fees and rents. Then there’s the Low Income Housing Tax Credits, or LIHTCs. The LIHTC industry took off during the Reagan administration, rising concurrently with deep cuts in direct federal funding for housing. The tax credits are distributed to developers, who then sell them to third-party “syndicators.” A joint investigation by NPR and Frontline found that syndicators — a key part of the $8 billion LIHTC industry — earned more than $300 million in 2017. NYCHA has used LIHTC financing previously, most notably in the 2017 conversion of Ocean Bay Apartments in the Rockaways, But an authority spokesperson was unable to answer how much of the “2.0” program would rely on those credits. RAD originated in the Obama years, but right-wingers like Ben Carson and Howard Husock of the Manhattan Institute urban-policy think tank embrace it because it aligns with their ideology that government should support the private sector. Husock, who opposes public housing on principle, is all in for RAD. “The federal government will waive a wand, in a way,” he told City Journal recently, and declare NYCHA residents have “a dollar sign on their heads.” The idea is that developers will be able to borrow against the federally guaranteed revenue stream NYCHA tenants afford them. Cooper Houses tenant Karen Leader is a vocal opponent of NYCHA’s plan to build on-site luxury housing. Credit: Erin Sheridan. Michael Higgins, an organizer with Families United for Racial and Economic Equality (FUREE), isn’t particularly enthused by these revenue streams, or the notion of putting dollar signs on people’s heads. He has been working with residents opposing an infill project by developers Two Trees and Arker Companies slated for Wyckoff Gardens in downtown Brooklyn, and he sees the public-private partnership model as part of the problem, not a solution. Mayor de Blasio has pitched infill as a way of building affordable housing while raising money for NYCHA. Recent events raise doubts about that. An infill development at Harborview Terrace in Hell’s Kitchen, in the works since Bloomberg’s term, was promoted by de Blasio as a 100 percent affordable project. Last August, the mayor’s office abruptly announced the project will now consist of 70 percent market-rate units, a move seen as a slap in the face to residents. Karen Leader, who serves as secretary of the residents’ association at the Cooper Park Houses, has been fighting against a 250-unit infill tower slated for the development’s parking lot. “It’s supposed to be 250 units, and it’s supposed to be 50/50 market rate and ‘affordable.’ No one is saying what affordable is. Affordable excludes low-income families. We can’t even pick up an application, it’s crazy. The increasing reliance on the public-private partnership model could further diminish government involvement in public and affordable housing. A recent Regional Planning Association report predicted that reducing public housing would have a disastrous impact on the city. A loss of just 10 percent of NYCHA’s units would force an estimated 40,000 New Yorkers — many of them teachers, postal, health-care and transit workers — to scramble for housing in a city where it is already a scarce resource. The report estimates a potential 62 percent rise in the city’s homeless population under such a scenario. Photo (top): To raise funds NYCHA is selling off open spaces like this parking lot at the Cooper Houses in East Williamsburg. It’s slated to be the site of a 250-unit luxury apartment tower. Credit Erin Sheridan.